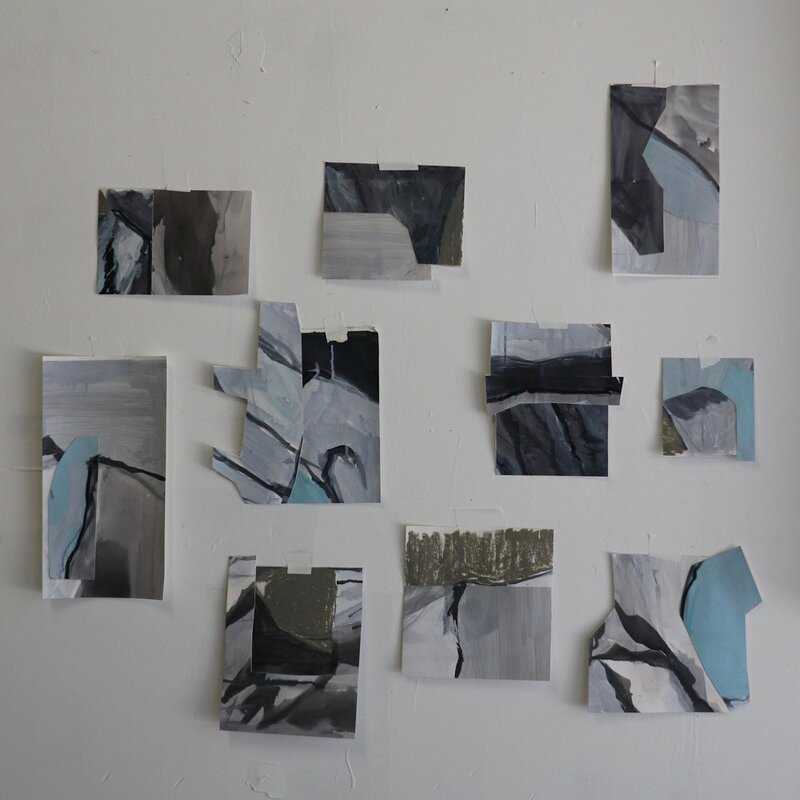 A batch of glacier-inspired paintings wasn't working for me. I revisited them a few times but they were exhausted and so was I. In a final effort to salvage the lines and colors, I cut them into components and assembled them into new works. These attachments are working much better now.